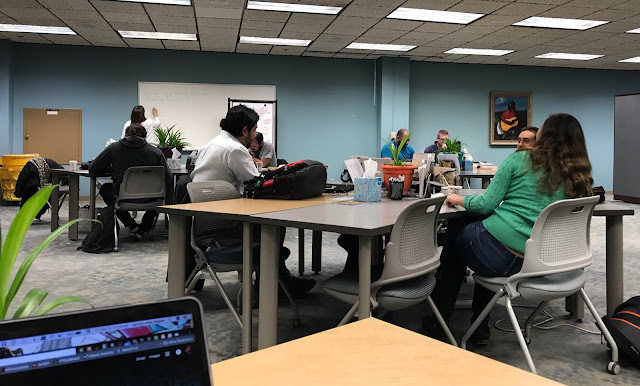 Today, I am at UTEP's University Writing Center, located in the Main Library, participating with others in the International Write-In, sponsored by Swarthmore College. I plan to be here from 11:30-2:00. The major aim a write-in is to kick back, meet with friends, and always support one another. Additionally, I'm assisting my students and answering any questions they may have for any class project taught this semester. While it's not what I thought a write-in would be, I sent an announcement to my students encouraging them to stop and say hi. And, one student came. We discussed tech issues, the semester topic researched, and help for what exactly should the ePortfolio and advocacy website entail. Overall, this is a perfect time to take a break from studying, and do some free writing; even some free sketching would be fun. Here is one picture I took soon after I arrived. 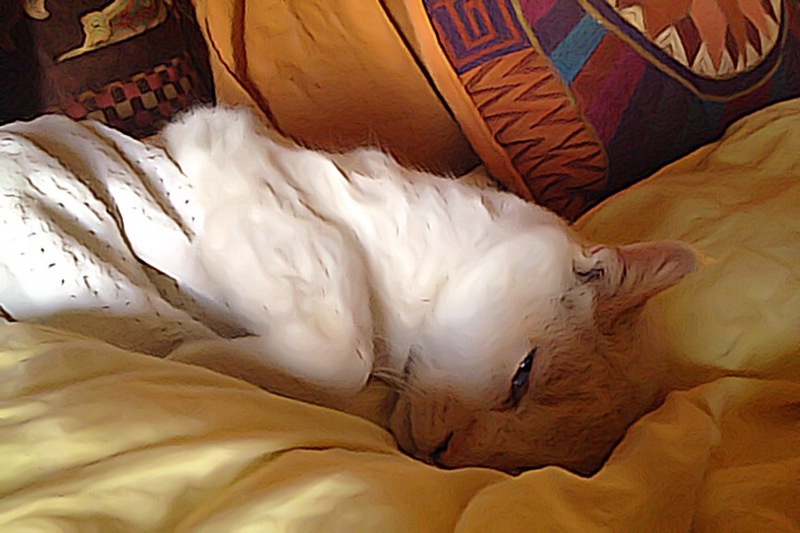 Much like the time he fell into the badly covered and abandoned pool next door, he missing a day until meowing back to my call for him, Buddy was King until the end—dignified, even annoyed at any less than a dignified situation he found himself, whether then or just a short time ago. He hadn’t maowed his Flamepoint meow since Thursday. 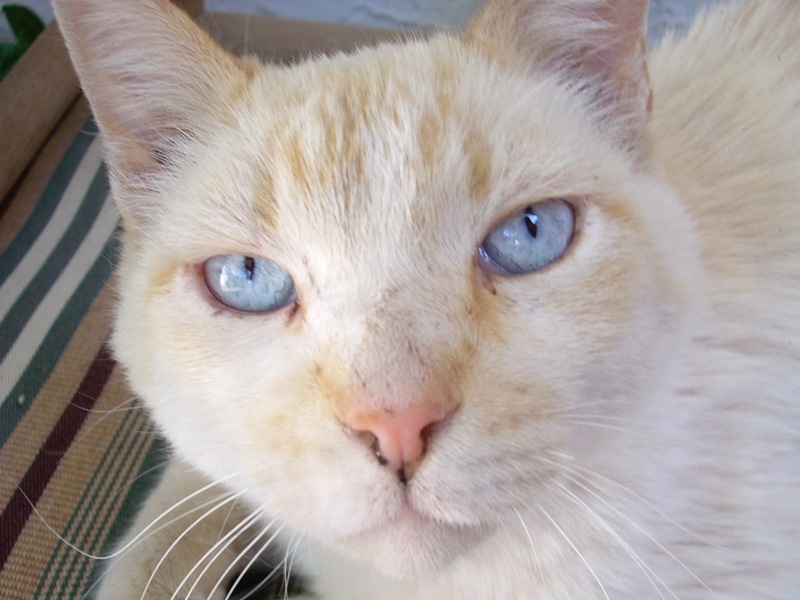 It was the singular call, one that belied his Siamese and Tabby heritage. Saturday morning at Crossroads Animal Hospital, the veterinarian pronounced his paper thin veins would make his anesthesia injection too worrisome for the old cat. She didn't want to keep poking to inject properly, so she opted for a slower acting place to inject—the abdomen. Her first try at hitting his vein had resulted in a subcutaneous bubble, its blueness translucent through shaved white skin. Before that, she noted he had developed a pronounced heart murmur since his last visit. She agreed with our determination to let him go. We told her he had stopped eating and drinking. He could no longer keep his food down, and he had difficulty climbing the steps to our bed. Yet, he valiantly fought off her second and final medication that she injected. Slower, accurate the drugs finally did their duty even as he struggled to keep from sleep as a supreme monarch would. His last breaths continued after his brain had left this earthly realm. His muscles and nerves worked after his consciousness gone. Buddy had a matchless strength and hauteur, the counterpart to our first cat Inky, a tiny "dowager empress." She was a black stray we first found during the 1995 July fourth weekend. She died in 2013, a little before my father came to live with us after my mom died and his hip replacement sentenced him to life in bed or wheelchair. 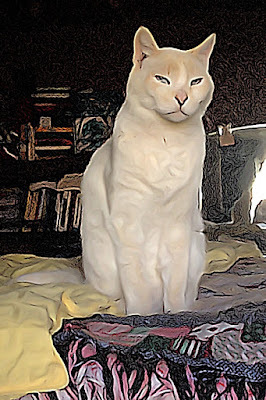 To me, Buddy was a great companion and helper when I lifted him, and placed him in my father’s railed bed; he gave dad great comfort and happiness. Many nights Buddy would remain, at the foot of dad’s bed until perhaps midnight or so. Then he’d jump off and meow at the backdoor, a signal he was ready to leave for the evening. It was estimated by his primary vet that he was between 14 and 17 years old; but, we’ll never know. Never know from where he came, how old he was, and if he had another name. What we do know is that he had a home with us for nearly 10 years and was a joy to care about and for. Thank you, Buddy. You reigned over this household and Foxes Arroyo well.